Deutsche Hypo is a Pfandbriefbank specialising in the financing of commercial real estate. She is focused on the business region of Europe and is among the major German real estate financing institutes. In the first six months of this year, the Bank’s net interest income amounted to 89.0 € million. Deutsche Hypo thus continued to be profitable, even if strong competition meant that the relatively high figure of the previous year (98.6 € million) could not be achieved. Deutsche Hypo employed a total of 431 people as at 30 June 2018. The increase year-on-year (2017: 414 employees) resulted from investments in the continuous strengthening of the market presence and in the organisational and technical infrastructure. At € 12,116.3 million (2017: € 12,077.1 million), the commercial real estate finance portfolio remained roughly at the previous year’s level. Sabine Barthauer has spent her entire career in the real estate financing business of NORD/LB. She works for Deutsche Hypo since 2008 – until her appointment on the Board she was the Head of Real Estate Structured Finance and International Property Finance. As of 17 August 2016 she serves as a Member of the Board on Managing Directors. Andreas Rehfus joined Deutsche Hypo back in 1995 and has been managing the Corporate Controlling Department since 1997. In 2000, he was promoted to Director and in 2005 to Executive Manager of the Bank. In 2007, he was appointed to the Board of Managing Directors of the Deutsche Hypo. Deutsche Hypo was founded on 13 February 1872 by Berlin-based merchants and bankers under the name Deutsche Hypothekenbank (Actien-Gesellschaft) and was awarded a charter by the Prussian King to issue mortgage deeds in the name of the holder. By June 1872, the newly-founded bank was already registered as a joint-stock company with 15 employees in the Commercial Register of the “Royal Municipal Court of Berlin”. 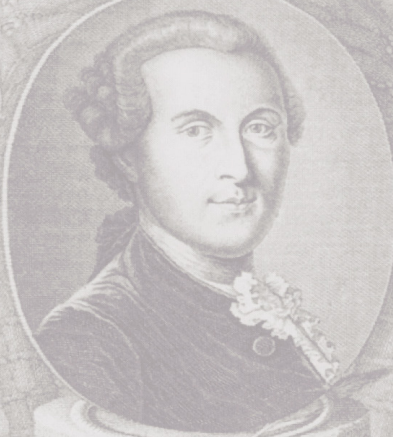 The initial business activities of Deutsche Hypo consisted of providing advance payments towards the pledging of plots of land for the construction of residential housing in Berlin and issuing loans to provide cover for securities, such as mortgage deeds, for example. In 1873, Deutsche Hypo issued its first mortgage deed corresponding to 500,000 Reichsthaler for 4.5%. When the Mortgage Banks Act [Hypothekenbankgesetz] entered into force in 1900, a new basis with strict guidelines was created, on which the Bank was able to expand its business activities in a diligent manner. Additional employees were recruited and a new bank building, which remained the Bank’s registered office until the end of the Second World War, was built after a plot of land was purchased at Dorotheenstraße 44 in Berlin. The post-war years of 1919-1923 were characterised by the collapse of the currency; a large part of the mortgage portfolio was lost. Although there was hope that the Bank could contribute to the reconstruction of Germany, the economic situation deteriorated enormously. It was only after the end of inflation that the Bank began to build up new business with the issue of Goldpfandbriefe [bonds backed by gold] and municipal bonds. Due to the incipient global economic crisis (1929) the new business was once again slowed down. According to the orders issued by the Russian Town Major of Berlin in 1945, the proprietors of all banks were obliged to discontinue all financial operations, so the business activity ceased for the time being. The building at Dorotheenstraße was severely damaged during the fighting around Berlin. The 16 employees who remained in Berlin endeavoured to rescue surviving, important documents from the rubble, in order to begin the reconstruction of the Bank’s assets with these in the temporary headquarters in West Berlin. The currency reform that entered into force in June 1948 offered the German people the opportunity to recover, and therefore also gave Deutsche Hypo a chance to commence new lending activities. It gave loans for the reconstruction of houses destroyed during the war. Furthermore, it purchased another plot of land over the following years, which was meant to symbolise a new beginning for the Bank. In 1953, Deutsche Hypo built a new building in Hanover, Georgsplatz 17. House building in northern Germany was to become in future the Bank’s main concern, as the economic boom in the Federal Republic of Germany led to a huge demand for housing and thus offered the Bank varied business opportunities. Deutsche Hypo’s history was characterised by a constant change in the main shareholders. At the end of the 1960s, the Berlin-based trading company “Berliner Handelsgesellschaft” was the majority shareholder of the shares. The Bank’s rapid expansion, which led to the need for more staff and more room, made it necessary to construct a larger building in Hanover at Georgsplatz 8. In 1970, the BHF Bank was the majority shareholder of the shares. In the 1980s, Deutsche Hypo, which was once viewed as a “small” bank, announced that in future, it would steer clear of retail banking and henceforth it would only work together with commercial customers and major clients. The lower limit for the awarding of loans was set at 400,000 Deutsche Mark. Just like the move to Hanover, this decision also turned out to be completely right. The Bank succeeded in setting up a network of branches across the whole country, in order to be able to serve diverse customer wishes and to achieve success within a short time as a sought-after provider in the sector of construction financing of commercial properties in Germany. At the end of the 1980s, Deutsche Hypo, influenced by amendments to the Mortgage Bank Act, expanded its business to other European countries. The ensuing permission to also lend money on international properties became in the meantime a very important pillar for the Bank and contributed significantly to the Bank’s profits. In 1999, the ING Group took over BHF Bank and therefore also Deutsche Hypo. In 2006, after the ING Group had purchased BHF Bank, it decided to cede its majority shares to Deutsche Hypo. Since then, the shares have been held by a syndicate consisting of four major shareholders. Since January 2008, Deutsche Hypo has been a subsidiary of NORD/LB following a voluntary, public takeover bid pursuant to § 271 paragraph 2 of the German Commercial Code [Handelsgesetzbuch]. By pooling competencies in a powerful, specialised growth platform under the Deutsche Hypo umbrella, a clear increase in the national and international market position was achieved for customers and investors. 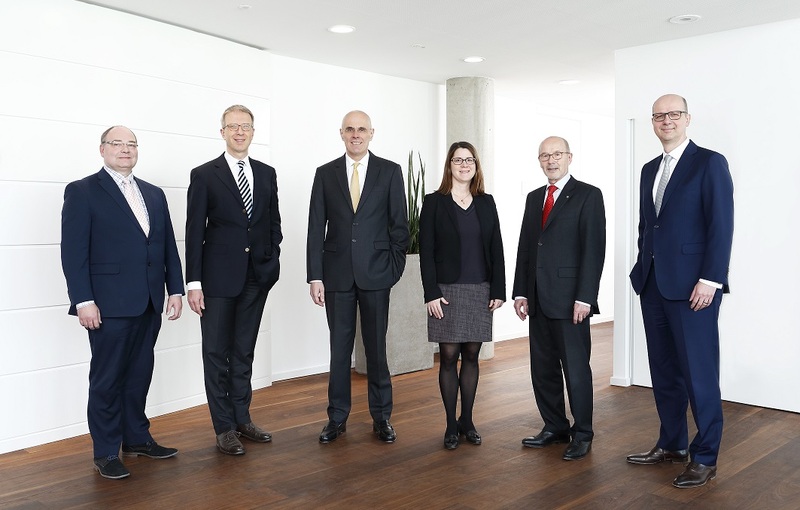 In November 2014, the employees moved into the newly established headquarters of Deutsche Hypo in the heart of Hanover. The bank is the main tenant of the new building and was thus able to have a say in its construction from the very beginning. The merger of all employees – previously based at two locations in Hanover – will have positive effects on cooperation due to improved communication and shorter distances between the individual departments. Today, Deutsche Hypo is a well-positioned Pfandbrief bank with a growing commercial real estate business. The Bank employs around 400 members of staff in its four national sites in Hanover, Frankfurt, Hamburg and Munich and internationally in its London branch and in its other offices in Amsterdam, Madrid, Paris and Warsaw. On the occasion of its 100th jubilee in 1972, Deutsche Hypo established a fund with a capital of DM 500,000 in support of cancer research. Since Deutsche Hypo established the fund in 1972, a total sum of nearly € 840,000 has been awarded to cancer research. We rely on employees that are not satisfied with standard solutions. Open communication and transparency have a very high standing at Deutsche Hypo.